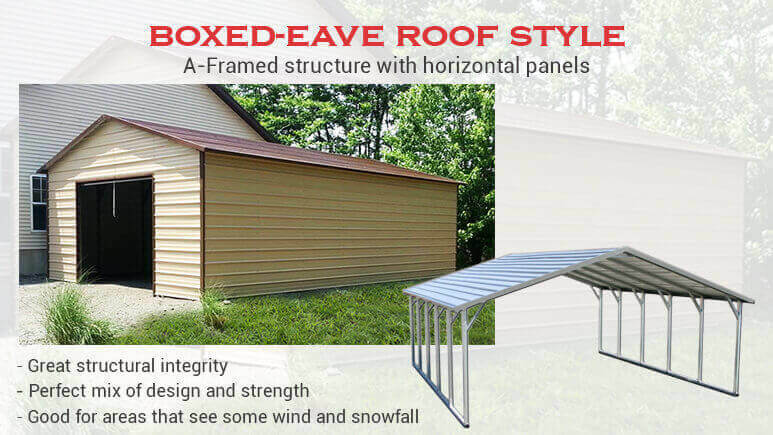 26′ x 31′ Regular Style Metal Carport with 7′ Tall Legs, 29 Gauge Horizontal Roof & 14 GA Standard Tubing – Free Delivery & Free Installation! 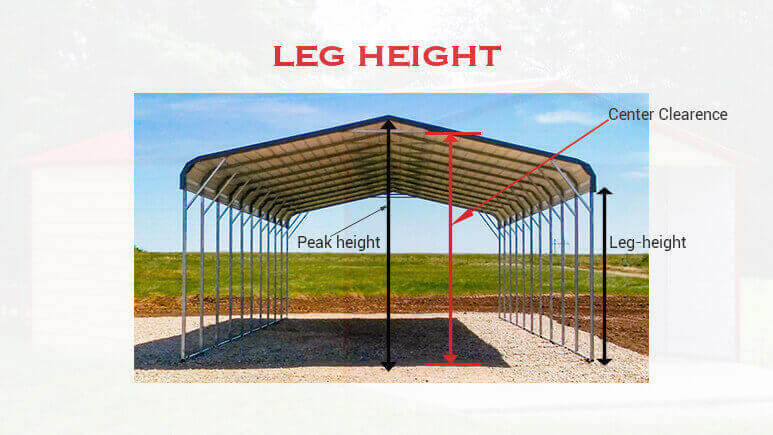 26×31 Metal Carport Building Includes 7′ Tall Legs, 14 GA Tubing, Carport Legs are 5′ on centers, 2′ Corner Braces and Center Brace on every leg. 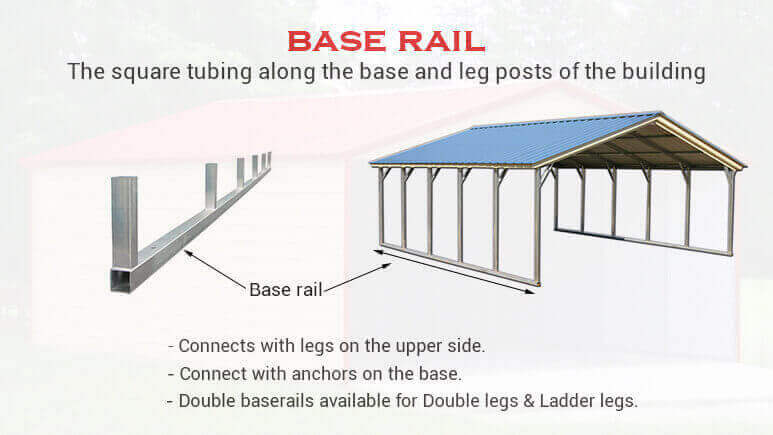 Extra Bows can be bought separately. 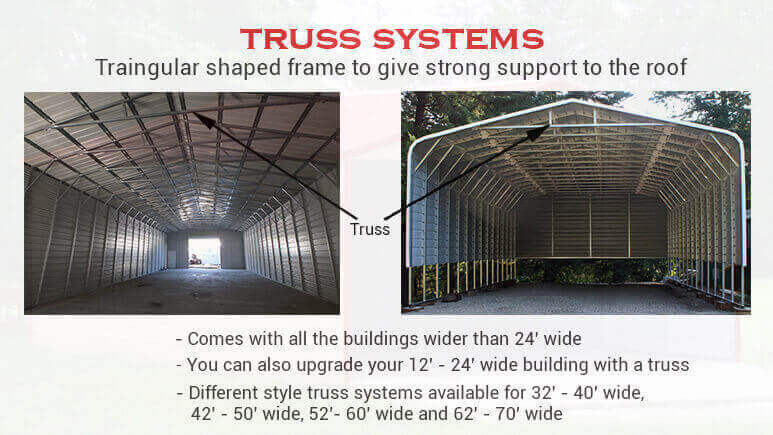 Truss Upgrade Available. 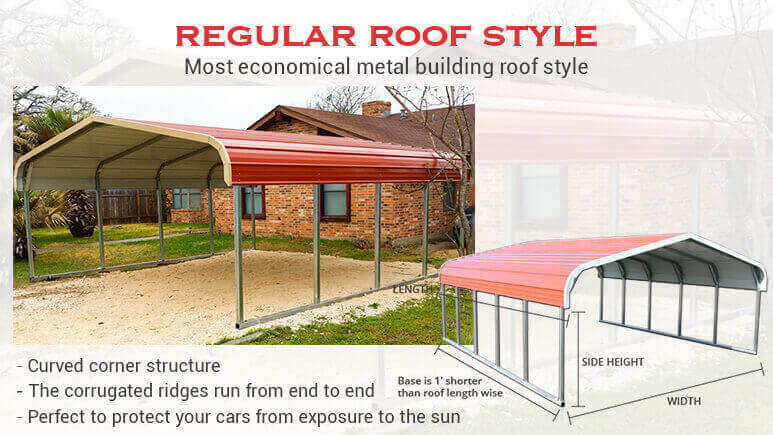 This standard 26′ x 31′ Regular Style Metal Carport can be customized for your needs. 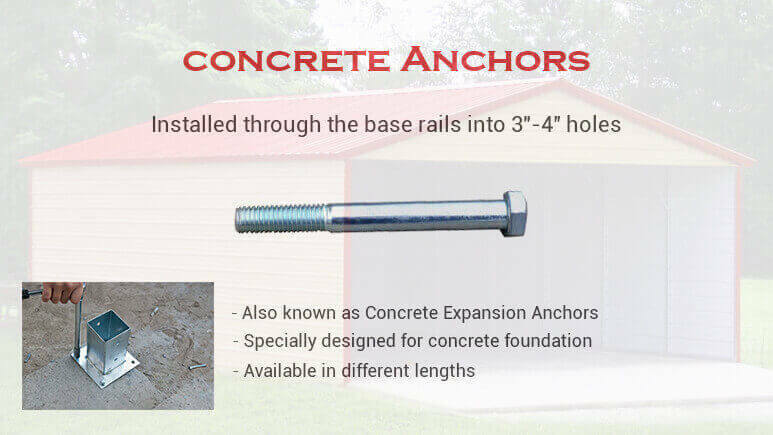 You can add more clearance by adding taller leg columns to this 26×31 Regular Style Metal Carport. 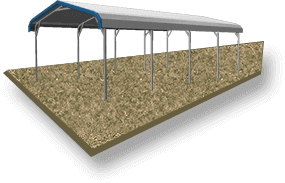 We design custom carports up to 20′ tall leg height. 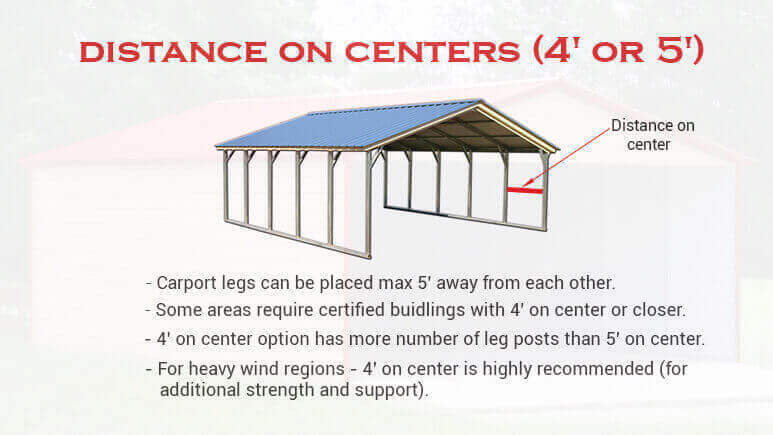 A 20 feet tall standard carport will have a center clearance of more than 23 feet which makes it suitable for most types of residential, commercial, and industrial usages. 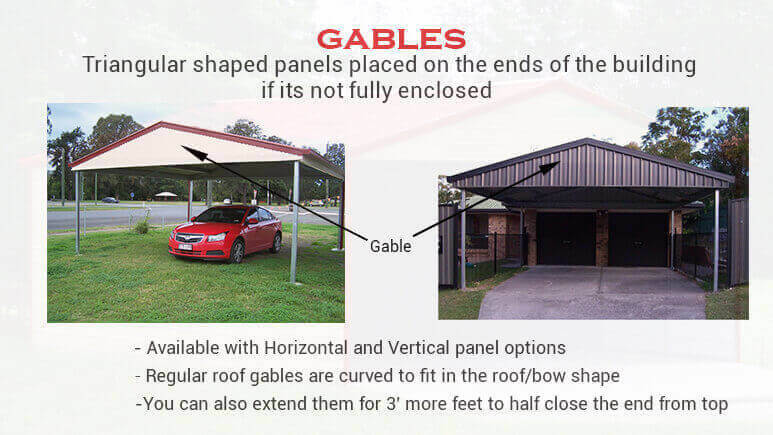 You can also customize this carport by adding a gable or an extended gable on the front or the back end of the carport. 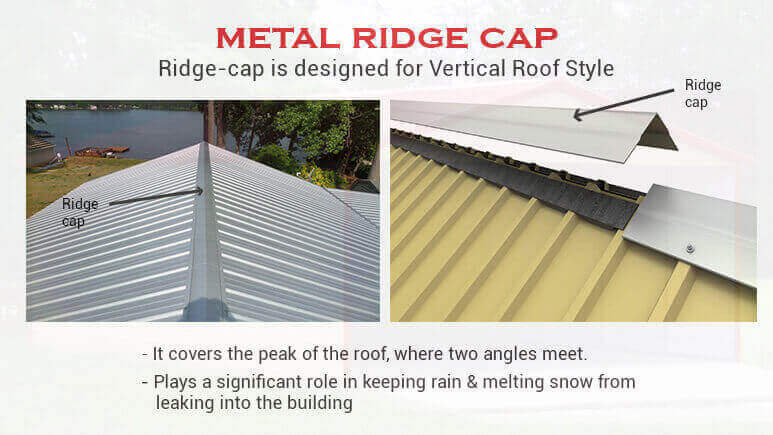 We offer extra sheet metal by which you can partially close the sides or the ends of your carport depending on your needs and usage. 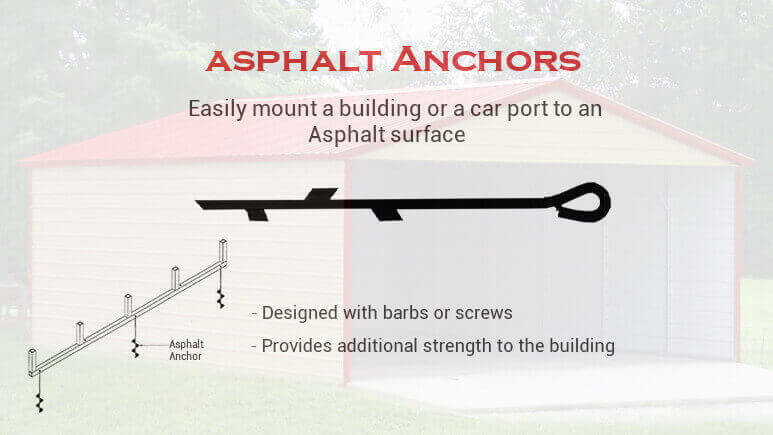 You can also close one end or both sides of this carport. 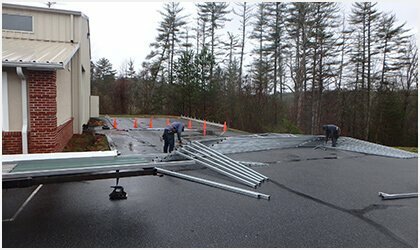 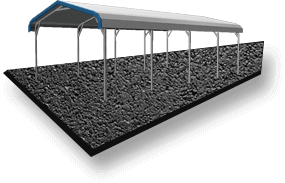 This 26×31 Steel Carport can be installed in areas where the local codes do not exceed 140 mph wind gust speeds. 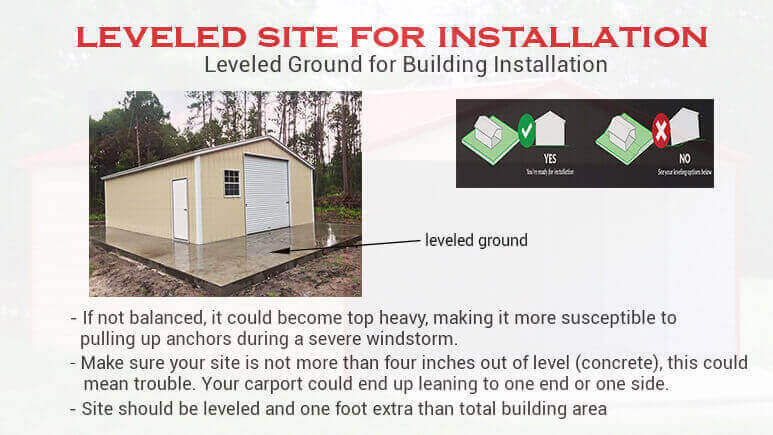 We can build you a carport that can withstand up to 170 mph of wind certification 3-second wind gust with our optional wind certification which covers most of the coastal United States. 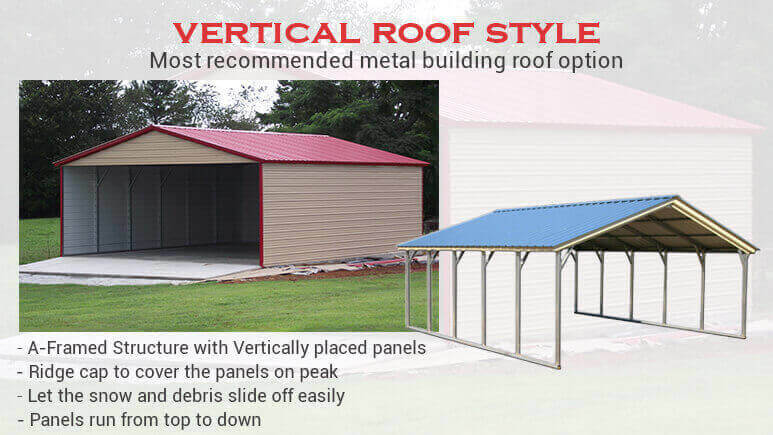 You can now order any custom metal carport from the ease of your home or office and choose from the 13 different color options. 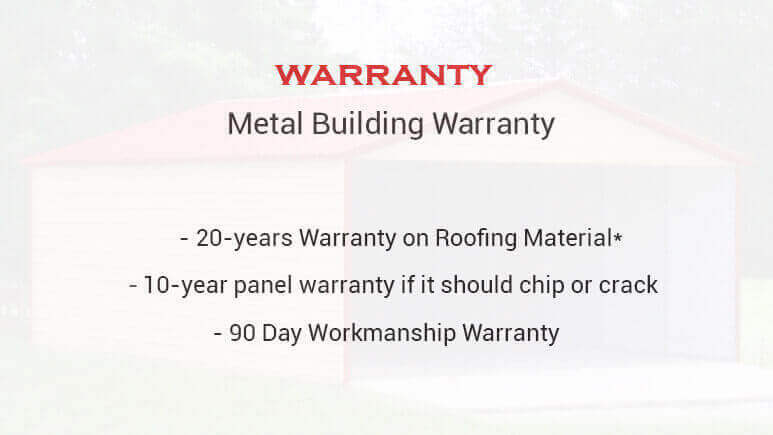 Our carport colors can be customized on the roof, on the walls, trim, and you can even add a wainscot/two-tone on your building. 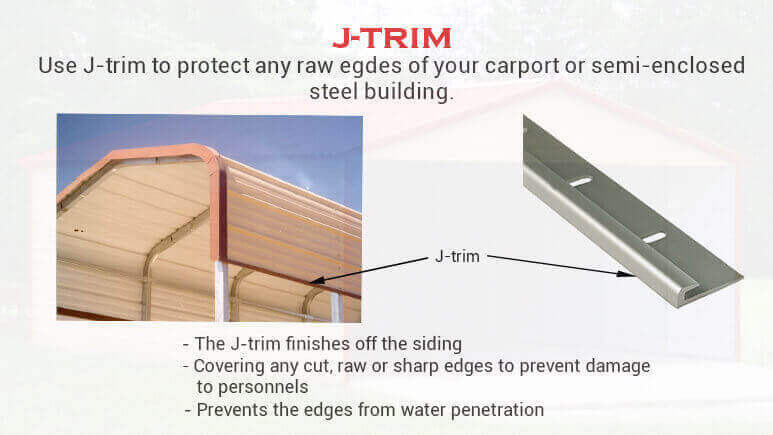 Either your carport walls have a horizontal orientation or vertical, our two-tone package is perfect to increase the curb appeal of this metal structure giving it a premium look and feel. 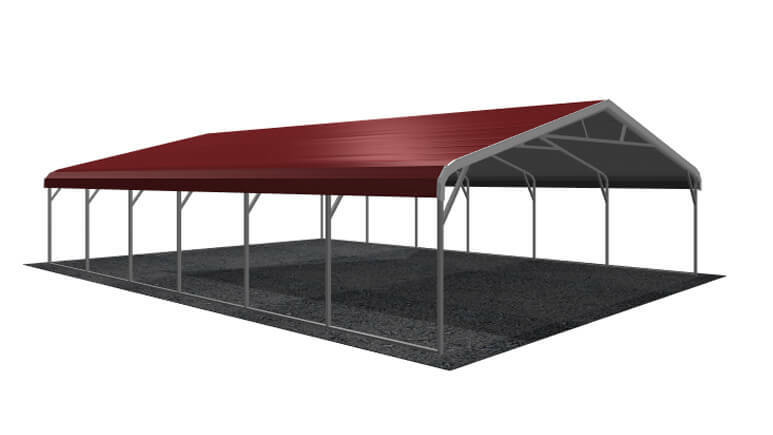 When your order is confirmed, you only pay 10% – 17% of the total cost of this 26′ x 31′ Regular Style Metal Carport. 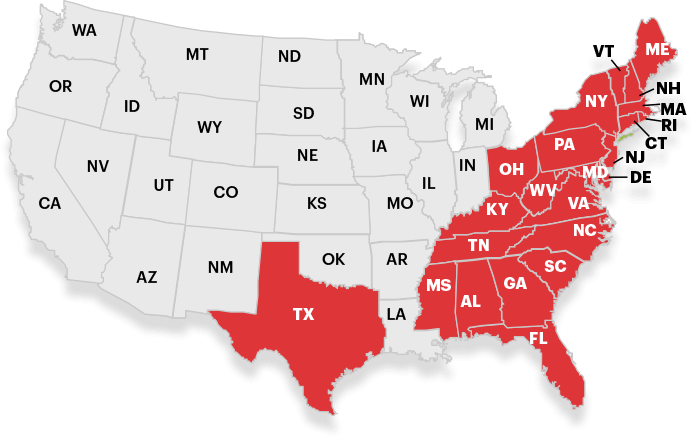 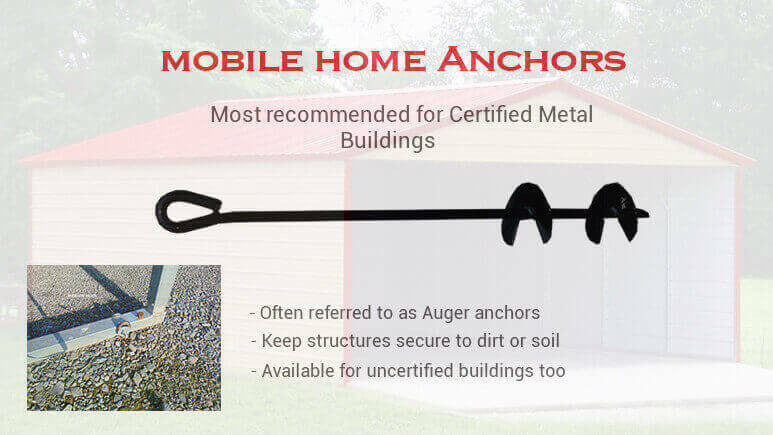 While the above price is for the 26′ x 31′ Regular Style Metal Carport is a non-certified unit in most of the states, some states include certification by default. 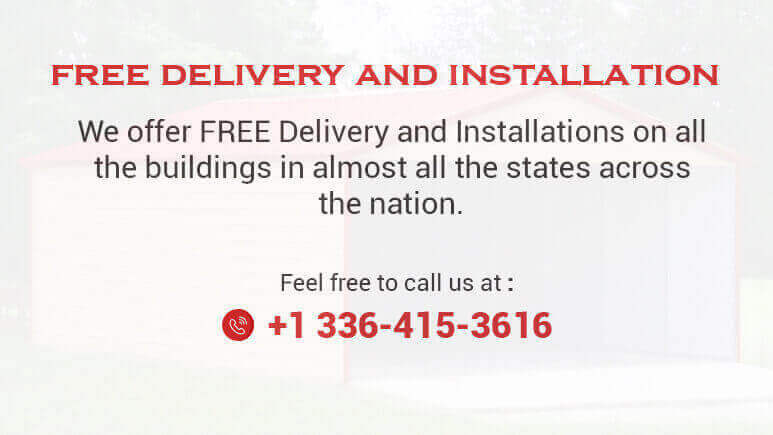 Please contact us for exact certification. 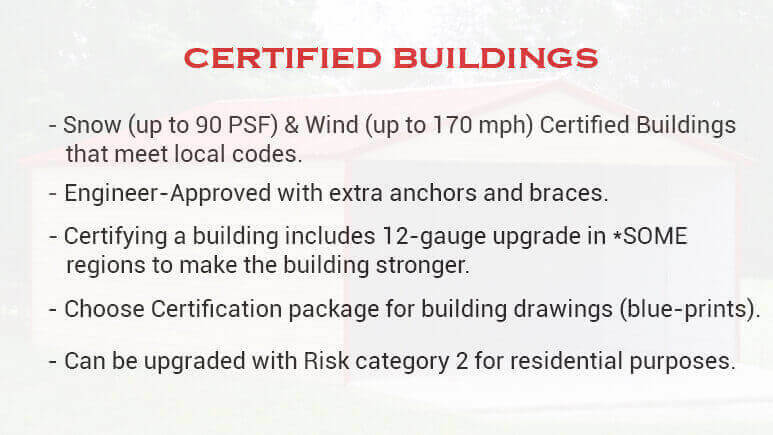 We also offer wind and snow certified units if your area requires them. 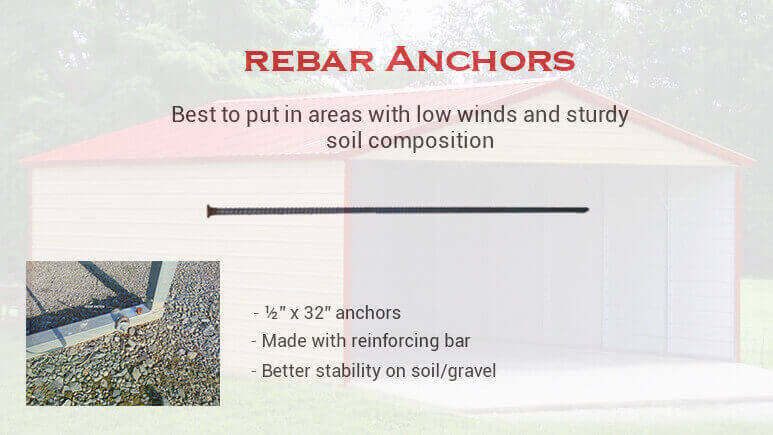 Upgrading will either change the anchoring pattern from rebar to mobile home anchors and/or will add on some more anchors and braces to the structure to stand strong against high winds and snow load. 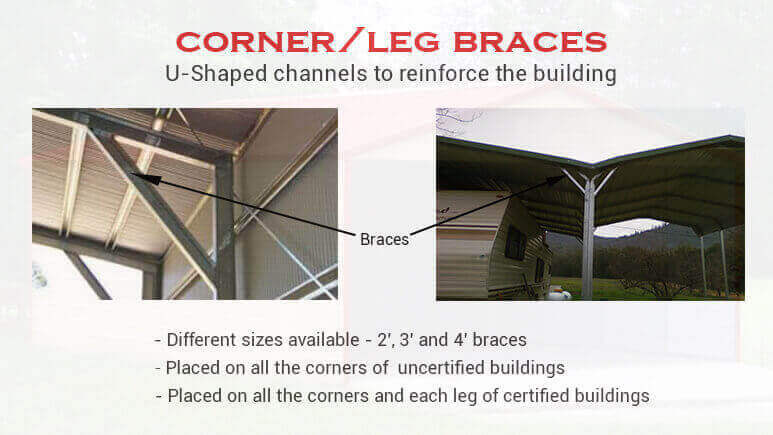 You can get the blueprints of our engineering drawings to secure any local permit levied in your area. 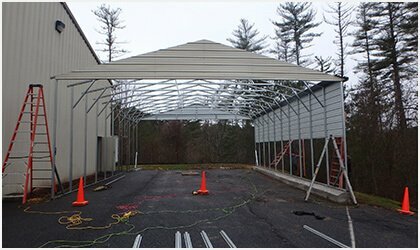 Other than this 26×31 Steel Carport, we can design and build a full range of steel carports and metal buildings. 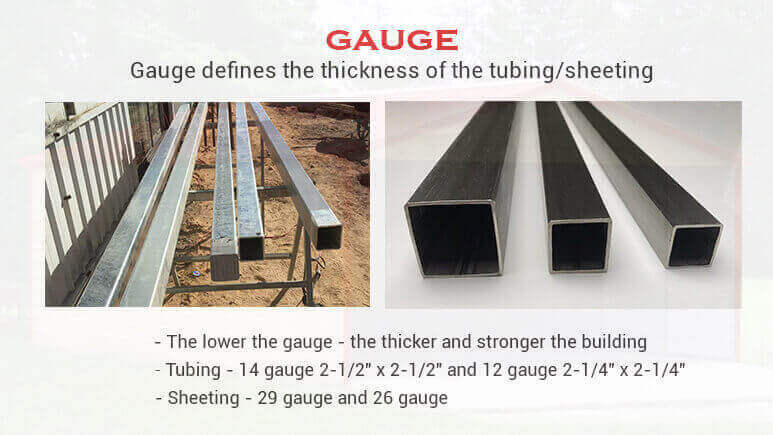 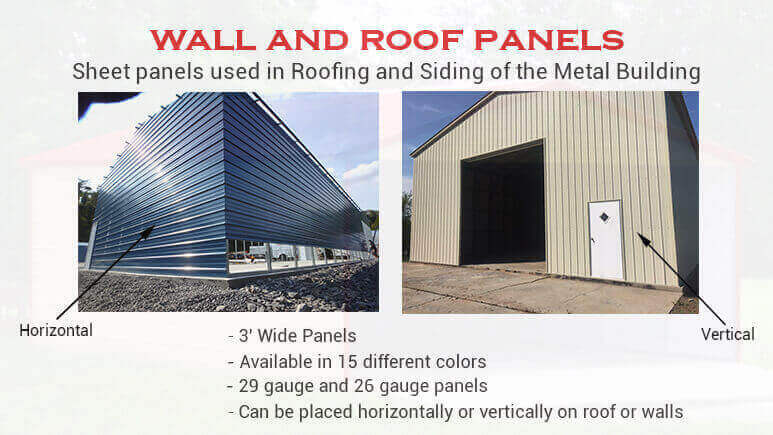 We are metal building suppliers and our multi-purpose metal buildings can be used for outdoor storage, car parking, farming purposes, automotive or welding shops, RV garages, boat covers, hobby shops, commercial or industrial, manufacturing, animal shelters, warehouses, workshops etc. 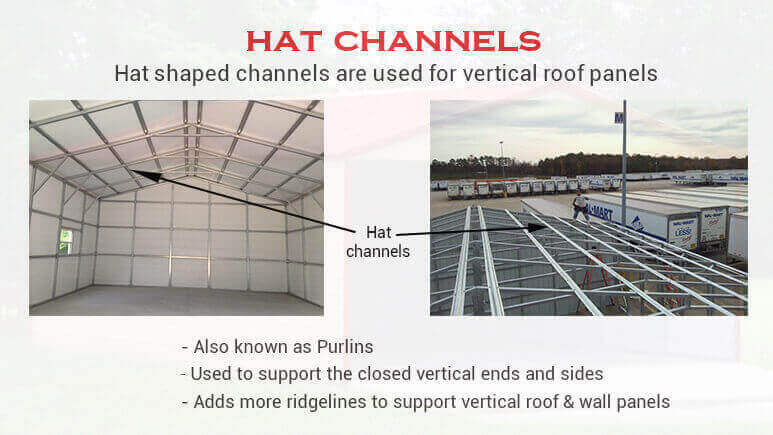 All our carports, garages, barns, utility carports, clear span metal buildings, storage sheds, and workshops structures are available in different sizes and with a wide range of customization options. 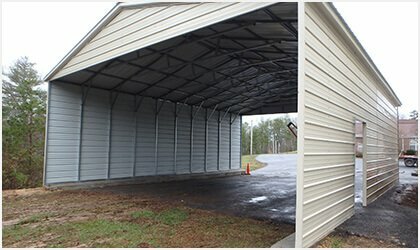 For example, we make buildings 13-16 feet tall to shelter your RV and these buildings serve as motorhome sheds. 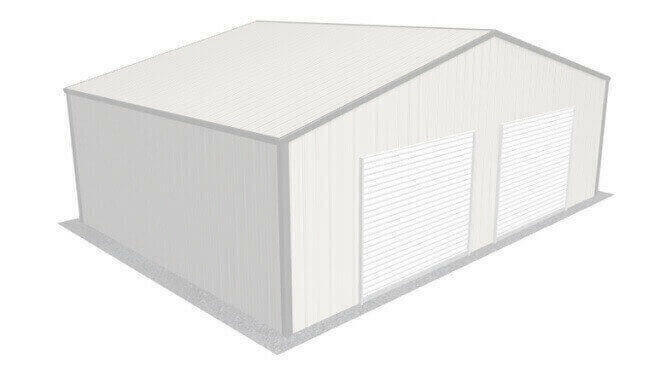 Also, for commercial usage, our customers order taller buildings, usually 15-20 feet tall.